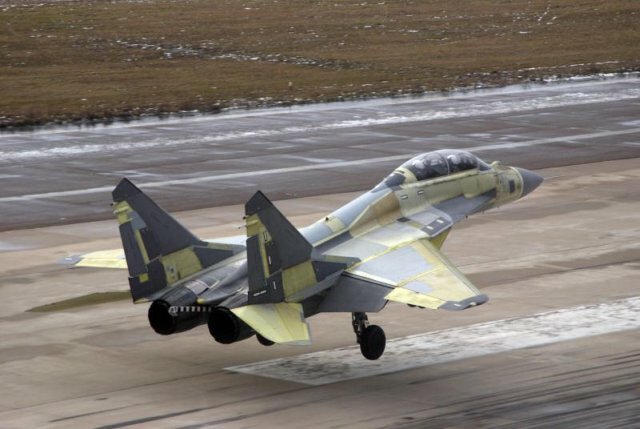 How to produced the military aircraft MiG-29K/KUB in Russia? The pride of the Russian aviation it's fighter MiG-29. Development of the first prototype light tactical fighter (LFI) of the new generation started in the late 1960s. In 1969, the competition was announced for the development of such an aircraft. Participated in the design Bureau Sukhoi and Yakovlev and Mikoyan and Gurevich. The winner was recognized OKB «MiG». Detailed elaboration of the project started in 1971. The first flight of the prototype was made on 6 October 1977, and serial production deployed in 1982 on the basis of the Moscow plant № 30 («Banner of labor»). In August 1983, the first serial MiG-29 began arriving in the Soviet air force. By the beginning of 1985 the first two regiment, MiG-29 have achieved operational readiness. In 1988, the MiG-29 was first presented at the international Airshow in Farnborough. This type of fighter actively supplied for export to many countries. Was designed and produced many different modifications including fighter deck for aircraft carriers. Just before 1991 were about 800 MiG-29. See the video how produced the upgraded aircraft MiG-29K/KUB in Russia (modification to the aircraft carrier). These aircraft are designed for the Indian air force and produced at the plant in Lukhovitsy (Moscow region). Chia sẻ các bạn cách làm gà chiên giòn cực ngon hay loai ran doc nhat the gioi hay cách làm mồi câu cá rô phi đơn giản và hiệu quả hay CMNR là gì và nguồn gốc của nó hay bà bầu có nên ăn ốc không. Giải mã giấc mơ thấy rắn - Nằm mơ thấy rắn là điềm gì sẽ giúp các bạn giải đáp các thắc mắc về nằm mơ thấy rắn.